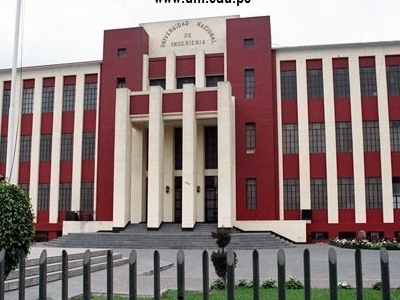 The National University of Engineering (UNI) is a public engineering and science university located in the Rímac District of Lima, Peru. Today, the National University of Engineering is widely regarded as the foremost science and technology oriented university in Perú, many of its alumni occupying today positions of leadership in the fields of Industry, Academia and Government. UNI is organized into eleven faculties which contain twenty-seven academic departments. It's a university polarized around science, engineering, and the arts. Most of the academic departments offer a wide variety of engineering especialities, including Industrial, Mechanic, Mechatronic, Electronic Engineering, and other innovative fields more related to the Social Sciences such as Economic Engineering. 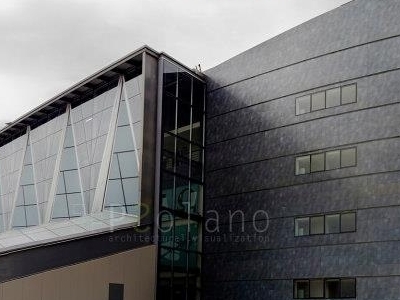 Current admission is highly competitive, with 10 applicants per vacancy in the most demanding fields such as Civil Engineering, Systems Engineering, Industrial Engineering and Mechatronic Engineering. UNI is widely known for being rigorous, demanding great focus and effort from its students. Given the competition level to be accepted to the National University of Engineering and it's highly demanding curricula, the university is commonly acknowledged as the most difficult to attend in the whole country. This has given UNI students recognition among Peruvians, but it has also created an imbalance sometimes regarding GPA's as compared to other schools, those of UNI's students being in some occasions lower due to the difficulty level being harder. Here's the our members favorite photos of "Universities in Lima Region". Upload your photo of National University of Engineering!